Toward the crossroads of history, lay out a track once sailed by Alexander's triremes and two millennia later followed by similar oared galleys such as that depicted here belonging to the Hospitaller Knights of Saint John of Jerusalem. Known also as the Knights of Rhodes, every Hospitaller at Rhodes was required to serve in the Order'sCrewed Yacht Sailing Greece hospital said for more than two hundred years to be the finest medical facility in the world. Every Hospitaller at Rhodes was also required to serve at least two years in the Order's oared galleys which were as large as any in the Mediterranean and usually faster. After an eight-year struggle with France, Charles V was in the act of signing what he hoped would be a lasting peace. Temporarily free from the burden of war, he set off for the greatest triumph of his life: his coronation in Italy as Holy Roman Emperor, the champion of the Christian world. He departed from Barcelona with the imperial galleys under their general in chief, Rodrigo de Portuondo, to a volley of ceremonial cannon shot. It was to prove a moment of hubris. Charles might aspire to be the ruler of the world, whose kingdom stretched from Peru to the Rhine, but on the coast of Spain he was horribly vulnerable. In the summer of 1529 there was suddenly no protecting fleet, and Hayrettin quickly knew it. Immediately he dispatched Aydin the Devil Hunter, his most experienced corsair, with fifteen galliots to ransack the Balearic Islands and the Spanish coast. Revenge centered on Valencia. After snaffling a succession of passing merchant ships, Aydin’s pirates descended abruptly on a religious festival and seized a sizeable band of pilgrims, then rescued two hundred Muslims from the same coast, and made off. It was the first significant open sea engagement against Barbarossa’s corsair fleet and it ended in humiliation. “It was the greatest loss that had ever happened to the Spanish galley fleet,” wrote López de Gómara dramatically. The Spanish chronicler, not known for his objectivity, gave a ghastly account of the crew’s fate. The son of Portuondo “Barbarossa impaled with many other Spaniards…and they say that he subjected some of the captives to a form of torment and death that was as cruel as it was new. On a flat part of the countryside he had holes dug that were waist-deep and had the Spanish put in them; he buried them alive, leaving the arms and heads exposed, and he had many horsemen trample them.” Barbarossa’s own chronicle puts it differently: “Hayrettin spread his name and reputation through all regions and countries of both the Christians and Moors, and sent the sultan two galleys, one of these with Portuondo and all the other leading Christians.” In the deeds of the great corsair, the boundaries of truth remain hard to establish. The soldiers who might have made the difference to Portuondo’s fate were at that moment preparing for Charles’s festivities at Bologna. On November 5, 1529, Charles entered the city in preparation for his coronation two months later. It was a carefully staged set piece of imperial theatre, modeled on the triumphs of Roman emperors—an extraordinary declaration of the emperor’s claim to the terrestrial globe. Charles rode through triumphal arches, accompanied by the pope and all the notables of his domains. Musicians played, drummers beat battering tattoos, and the populace, exuberant at the prospect of feasting, shouted “Caesar, Charles, Emperor!” Charles rode in stately procession under a brocaded canopy carried by four plumed knights. His own elaborate helmet was surmounted by a golden eagle, and he carried the imperial scepter in his right hand. Among the sea of banners embroidered with the emblems of emperor and pope was a Crusader’s flag decorated with the crucified Christ. During the months of celebration that followed, the artist Parmigiano started work on an immense allegorical portrait of the emperor. It showed the infant Hercules offering Charles the globe, turned not to the Indies or his possessions in Europe but to the Mediterranean, the center of the world, and ordained to be ruled by Caesar. In truth, the humiliation of the imperial galleys ten days earlier had revealed the hollowness of this pantomime. After twelve years of warfare with the Barbarossas, Charles’s only tangible trophies were Oruch’s skull and his crimson cloak, now displayed in Córdoba cathedral as an object of venerable dread. The Spanish position in the Maghreb was precarious; the seas had never been less safe. The Western Mediterranean was in danger of being overrun by these outriders of the Ottoman Empire. On November 15, Charles received a letter in Bologna from the archbishop of Toledo, outlining the situation in stark terms. Immediate action was now critical. “Unless this disaster is reversed,” he wrote, “we will lose the commerce of the Mediterranean from Gibraltar to the east.” Now only decisive action would suffice. 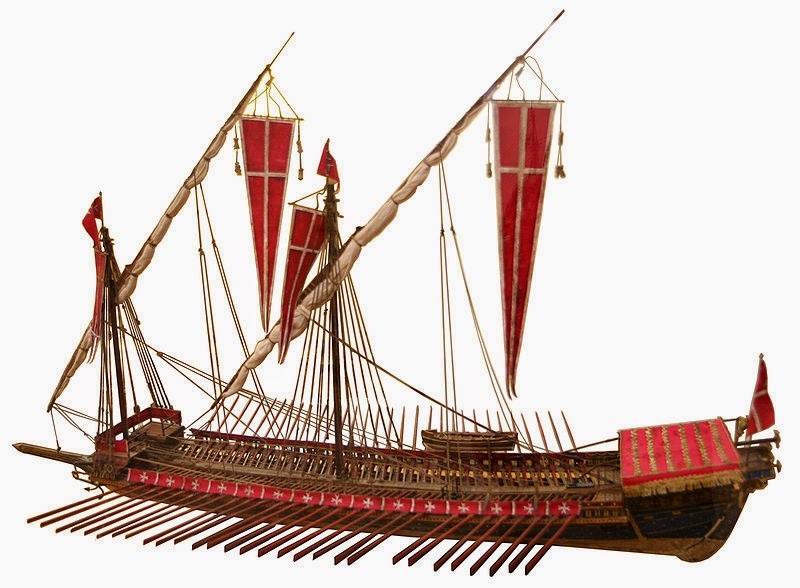 He urged the emperor to construct a new fleet of twenty ships and “sailing with a great armada to hunt out Barbarossa in his own house [Algiers], for money spent solely for defence will otherwise be wasted.” The Empress Isabella wrote in the same vein. Algiers was the key to Christian peace, but Barbarossa was the key to Algiers. There were two balancing consolations for Charles as he contemplated these letters. The first was not inconsiderable. In the autumn rain, Suleiman’s great siege of Vienna had ground to a halt. By early October it was getting cold; his supply lines were overextended and the season late. On the fourteenth of the month, Suleiman made a short entry in his campaign journal in customary telegraphic style, as if it were a detail of no import: “Explosion of mines and new breaches in the walls. Council. Fruitless attack. The orders are given to return to Constantinople.” The briefest of notes sketch a bitter retreat: “17. The army arrives at Bruck. Snow. 18. We cross three bridges near Altenburg. A considerable quantity of baggage and part of the artillery are lost in the marshes. 19. Great difficulty in crossing the Danube. The snow continues to fall.” It was the first Ottoman setback in two hundred years. Suleiman was compelled to organize his own face-saving victory celebrations for the people of Istanbul. The second consolation for Charles was more immediate. In anticipation of Toledo’s advice, the emperor had just provided himself with the means to strike back. In 1528 he managed to steal the services of Andrea Doria, the great Genoese admiral of the age, from Charles’s rival the king of France. Doria was a member of the old nobility of the city and a condottiere, a soldier of fortune. Disillusioned with Francis I, Doria switched sides for a handsome fee, but he represented good value and would prove durably loyal. The admiral brought with him his own galley fleet, use of Genoa’s strategic port, and immense experience of sea warfare and anti-corsair activity. Doria had his drawbacks. Because the galleys were his private property, he was excessively cautious in their use, but he was by far the most astute Christian naval commander in the emperor’s domains. At a stroke the sea-lanes between Spain and its Italian possessions became safer—Genoa gave Charles strategic control of his coasts and a substantial fleet with which to defend them. It was through Doria that he intended to halt the Hapsburg decline in the Mediterranean and wage aggressive war. Charles also buttressed the defenses on Italy’s southern flank. Since the fall of Rhodes, the Knights of Saint John had been homeless wanderers in the Mediterranean. L’Isle Adam had petitioned the potentates of Europe, one by one, for a new base from which to carry on the Order’s mission of holy war. In London, Henry VIII had received the old man graciously and given him guns, but only Charles provided the possibility of a permanent home. He offered the barren and impoverished island of Malta, south of Sicily, in the path of every corsair raid on the Italian coast. The present came with strings attached—Charles did not give something for nothing; the knights also had to defend the emperor’s fort at Tripoli on the Barbary shore. It was an unattractive prospect but L’Isle Adam had no alternatives; without a base for piracy, the Order would certainly collapse. In 1530 Charles dispatched the fateful document to L’Isle Adam, “bestowing on the Knights in order that they may perform in peace the duties of their Religion for the benefit of the Christian community and employ their forces and arms against the perfidious enemies of Holy Faith—the islands of Malta, Gozo and Comino in return for the yearly presentation, on All Saint’s Day, of a falcon to Charles, Viceroy of Sicily.” This bargain placed the knights at the very center of the sea, in the eye of a rising storm.